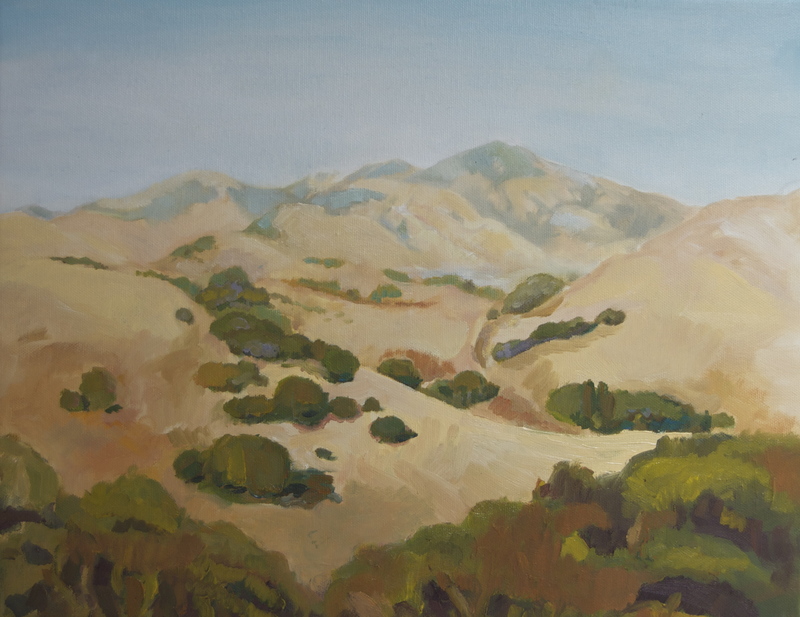 Painted last year, this is a view of Mount Diablo from the only place I could find on the whole Huckleberry Trail that looks out over the landscape. This entry was posted in Art Journal and tagged East Bay, Fran Osborne, Mount Diablo, trees. Bookmark the permalink. Not sure – possibly the ones in June are a better bet for me to visit this semester! Hey thanks Janice – are you going to be able to make it to any open studios?